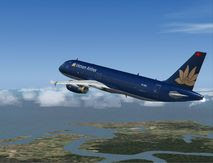 Aer Lingus today announced 10 new routes as part of its winter schedule for 2011/2012including a route from Cork to Las Palmas, Gran Canaria. The new service will operate once weekly, commencing on Sunday October 30. This route expands on the extensive choice already on offer to Aer Lingus customers travelling to the Canary Islands, with scheduled services also available from Ireland to Lanzarote, Tenerife and Fuerteventura. The Canary Islands is the only place in "Europe" which offers sun and pleaseant temperature during winter time and it is only few hours away flight from home. If you are interested in buying or renting a property, GoldAcre Estates offers the widest selection of properties in Canary Islands, Spain. Whether you are looking for an apartment for sale in Corralejo or a villa in Parque Holandes, GoldAcre Estates will help you, even to build your home. So if you like the Canary Islands lifestyle, the amazing landscapes of Fuerteventura or Gran Canaria pay a visit to GoldAcre Estates.